My guild is looking to attempt HAAT again in a month or so and I'm looking for help on what my best teams are and what phases I should focus on. I'm trying to get a G10 Zody team by then (fingers crossed). Other than that, I don't know where CLS is best, and I don't have TFP or Zidious to help out my Zader. I don't want to use CLS in P1 though- other people in the guild should be able to cover P1. Anyway, Let me know your thoughts and advice! Thanks in advance! You have the toons for something like this. 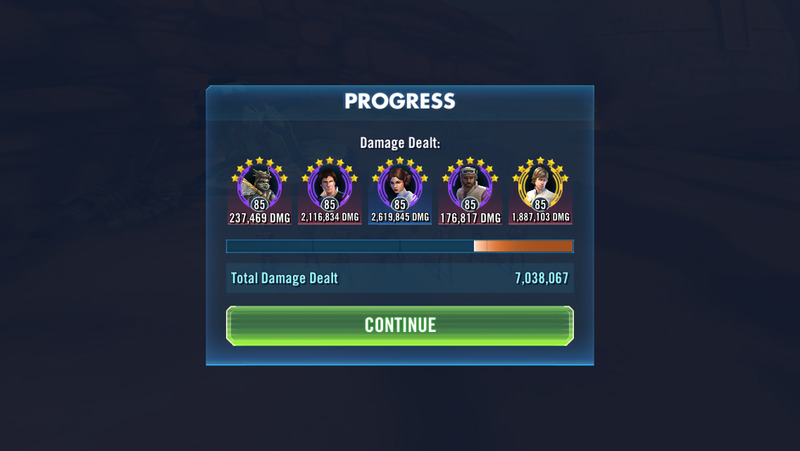 P3 was a challenge for us when we started doing Haat. Maybe use Jyn instead of Raid Han until he's ready. Hmm thanks. I'm thinking of running leia with clones though once I gear them up. Is CLS good with Zader? Who else would be good with them? I run CLS with zader in p2. The tenacity down helps the DOTs stick. Also boba zsidious and zkylo. Does about 1-1.5mil depending on RNG. I start trying to escape CLS during 3rd topple. Then I use CLS in p4 with wiggs lando and r2. 1.5-2 mil. Wedge lead.